Down a Dark Hall (film, 2018). An American-Spanish supernatural horror film with "PG-13" rating by Summit Entertainment/Lions Gate Entertainment. Directed by Rodrigo Cortés. Official Trailer. Down a Dark Hall is an American-Spanish supernatural horror film directed by Rodrigo Cortés. 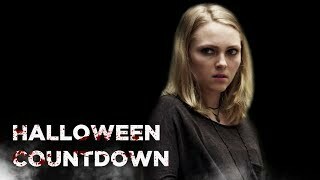 Down A Dark Hall (2018 Movie) Official Trailer - Uma Thurman, AnnaSophia Robb. Kit Gordy (AnnaSophia Robb), a difficult young girl, is sent to the mysterious Blackwood Boarding School when her heated temper becomes too much for her mother to handle. Once she arrives at Blackwood, Kit encounters eccentric headmistress Madame Duret (Uma Thurman) and meets the school's only other students, four young women also headed down a troubled path. While exploring the labyrinthine corridors of the school, Kit and her classmates discover that Blackwood Manor hides an age-old secret rooted in the paranormal. Principal photography began on October 2016 in Barcelona. The film Down a Dark Hall was scheduled to be released by Summit Entertainment and Lions Gate Entertainment on August 1, 2018 (Italy), on August 17, 2018 (Limited & Digital, United States) and on October 16, 2018 (DVD & Bluray). The duration of the film is 96 minutes. The film grossed over $2.16 million. Down a Dark Hall got average rating from critics. The audience dislikes the film either.